Sometimes we look for books to heal us. Sometimes we look for books that we can find ourselves in. Sometimes we look for books to teach us something new. But we always want to get lost in the story. However you approach this book, it's one that you will get lost in. It's a book that might help the right reader. It's a book that tells us how someone might heal. It's a book that helps us understand. It's a book that I would have loved as a kid. It's a book I loved as an adult. It's a book I can't wait to pass on to readers today. * I loved the alternating chapters. Often we see alternating chapters told in different voices so we get different perspectives. This time each chapter is told in an alternating period of time - one the summer before the accident, one the summer after. The voice of Quinnen is remarkably different and I love seeing the story and character development through the writing and organization. 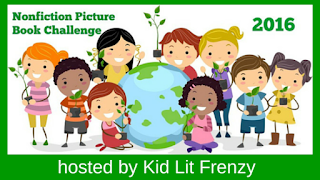 * This story has a great middle grade feel. 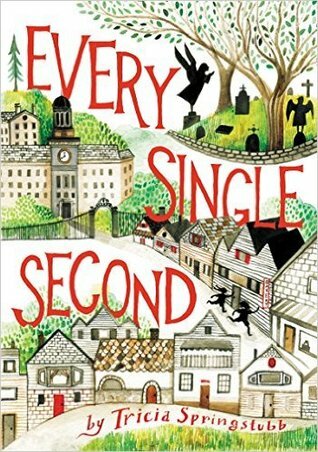 When dealing with a heavy subject, I find some middle grade stories go so deep into the development of the "event", that it loses an authentic kid voice. This audience of this book is a middle grade reader - keep it real! * I love how baseball is infused into the story. Quinnen's passion is for sports, particularly baseball. We see Quinnen's world gets rocked by this horrible accident and her world falls apart. I love that baseball is a piece that helps her bring it back together. * The characters in the story are very real. Each one adds a piece to the storyline. They are flawed characters but they each own up to it and help Quinnen change and grow. This would be a great book to study the development of Quinnen's character and how her relationships with the secondary characters shape that development. * actually, I've told you enough. I'm going to leave you with the advice to make sure this is on your summer TBR list. Enjoy it, then enjoy getting it in the hands of readers this fall. We live in a time that we have constant worries on our minds. We live in a time that some of those worries are big deals. Big questions. Big concerns. And if we have them in our lives, you know younger children are trying to grapple with some of these big worries in their own way. 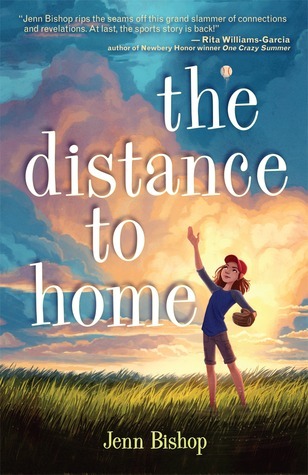 Tricia Springstubb writes a story where her young characters are trying to move through the trials and tribulations of middle grade friendships, yet also deal with adult sized worries in their own way. Every Single Second is told in alternating chapters, going from "now" to "then". We meet Nella, our main character, and her large family. In the "then" chapters we learn how Nella and Angela became "secret sisters". How Nella enjoyed being with Angela and her big brother, who was also their protector, Anthony. How being with them was an escape from her large family where other than her mom, Nella is the only girl. As the chapters go on, we learn that Angela's family is far from perfect - her father is a war vet that has undiagnosed PTSD and her mom has deserted the family. Anthony is the family member that is there for Angela, and therefore Nella. Nella tries to escape the craziness of her family - both at home and when she has to be with her great-grandmother, Nonni - by hanging out with Angela and Anthony as much as possible. But once Nella learns a big family secret, instead of it bringing her closer to Angela, it starts to drive them apart. Enter the "now" chapters, where Nella is friends with Clem, someone who is about as opposite of Angela as can be. Clem is anxiously counting down to the "leap second", the extra second that is being added to the world clock. But how fast is a second? What decisions can be made in a second? Can you ever take back a decision that is made in a second? Those questions are asked as Nella's worlds collide in a moment when everything goes wrong. The big current issue of racism, is explored but on a middle grade level. This is a story about family and friendship. Religion is discussed. Big issues explored. Important questions asked. Readers who are looking for realistic fiction that looks to answer some big questions will enjoy this book. I applaud Tricia Springstubb for attacking tough subjects for middle grade readers. This book will be important for kids. I hope discussions occur as a result. 2nd grade science standards have students comparing habitats and the life in them. This book and others in the series would be perfect to use in this unit! 3rd grade science standards have students looking at environment changes and how animals may have to change in order to survive, as well as how animals adapt in particular environments. Throughout the book Stewart talks about environmental changes that help, or hurt, the animals ability to "live and grow". 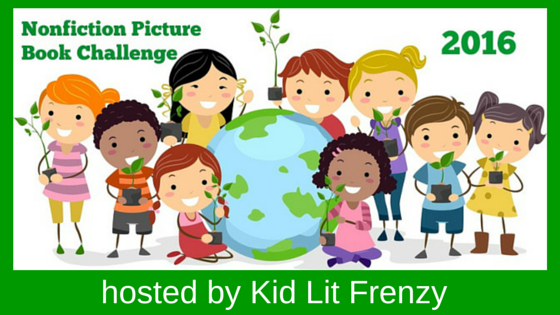 If you're doing a unit about Earth Day this April this book and series would be a great addition! The effects of human decisions on the environment is making changes to animals, plants, and life cycles. Find a book or two in the series that features creatures that live in your area. What are things you can do to help the animals in your local environment? Great mentor text to use to show cause/effect text structure. Why do you think Stewart made that decision when writing the book? How does it help you understand the information? Stewart adds sidebars to the pages. How does that add to your understanding of the main text? Note the end pages. What information do you get in the maps? Make sure you visit Melissa Stewart's blog here where she talks a little bit more about the changes that were made in the updated book. It's so interesting to hear how much our environment and habitats really do change! 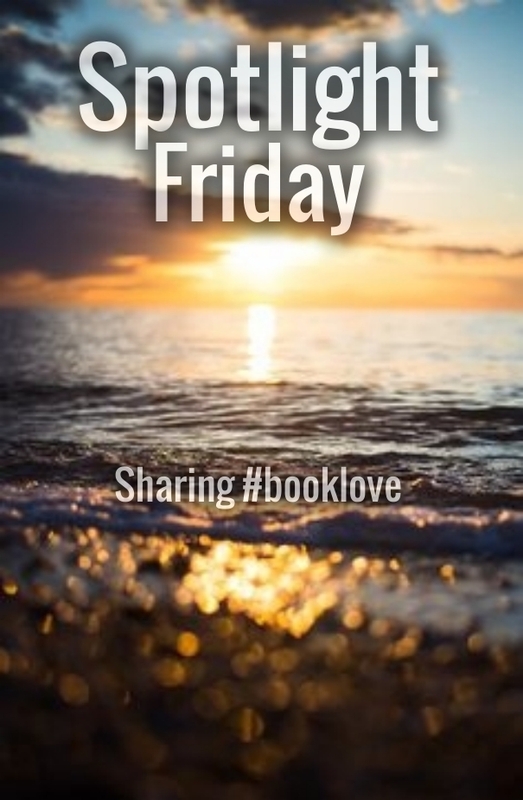 Check on Melissa's Pinterest page here for great nonfiction thoughts and ideas. Thank you to Peachtree Publishers for the review copy! I celebrated our week 3 of my daughter's limb lengthening journey this weekend. Do you do a unit on empathy? "Mr. Particular" would be a book to add to your collection! 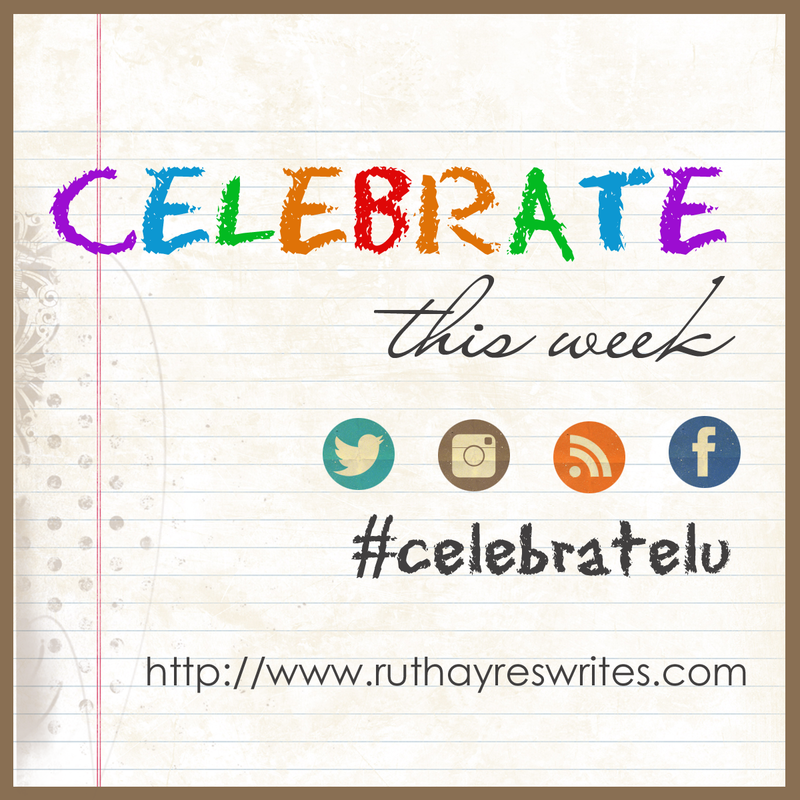 I have 2 new middle grade books for your TBR lists! 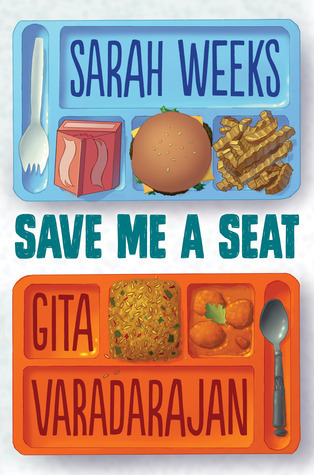 The Sleepover releases this week and Save Me a Seat is already out. Make sure you read them and get them into students' hands! 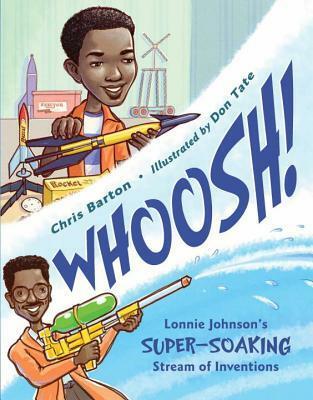 I love Chris Bartons' new nonfiction picture book - "Whoosh" - his newest collaboration with illustrator Don Tate. So many uses for this book, it's one you will want for your library! So, Elephant and Piggie has seen the end of its series. But, the "good" thing is I have not read all the books! This summer I'm going through and finding all of the ones I've missed. As always, this one made me laugh out loud. 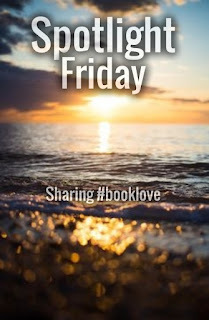 Thanks to Elly Swartz (upcoming Finding Perfect) for telling me about this one! Use the text to teach metaphor, to teach the big ideas of looking beyond the surface for something, to keep trying to find what you're looking for, to look at things with new perspectives. And I love Abigail Halpin's art! It is stunning! I had to buy this book after reading last week's Nerdy post. If you missed it, be sure to check it out here. Just like de Seve writes in it, picture books are important for all ages. And if you don't believe that, you need to read Sergio Ruzzier's Nerdy post! This book looks like it's for younger kids. And younger kids will love the story. They will get lost in the story, going back in time to see how Papa would fight fires with his trusty firetruck, Red. But taking it further, it's older kids who will understand some of the rich themes in this book. The discussions about wanting something new, but seeing the rich past in something old. The conversations that can be had about the power of imagination. This book is a must have for so many age levels. Make sure this book is on your to-buy list! I had held off purchasing this book until I had gotten it from the library. But after seeing so many positive reviews, and the library here being so slow in getting books into circulation, I bit the bullet and ordered it, sight unseen. Love it. When I read this book, I read it that this is a story about a child who is questioning his name - does it make him who he is? He thinks about what he knows about himself. I think this is a question that is obviously very self-reflective, but one we should make students think about more often. Who are they? What makes them unique? What do they know about themselves. Personal identity is something that many people hide from and question. This book may be one that brings the discussion out, or at least be reflective upon. As I was waiting for this book to arrive, I happened upon Debbie Reese's posts about this book here and here. I think they are important to read and be reflective upon based on recent events. Do you teach K-4th grade? This is a series that is a must have! Readers of all levels appreciate the stories in this series. I've read all four and I think each one has gotten better than the one before. It's the second book illustrated by Bob Shea in my pile (first one was Fire Truck). I think this is a great book to use with the PreK/Kg crowd! A fun introduction to the haiku format, the easy to solve riddles will keep young readers engaged and wanting to read more. I like that the author included information in the back. It's a book I've had on my shelf for a really long time. Glad I finally got to it. The way the threads of the story were woven together - wonderful writing! I wonder how younger readers will be able to navigate the multiple perspectives. It took me awhile to keep everyone straight! If I could give this book more stars, I would. This book cements Gae Polisner as an extremely talented and gifted writer. As Gae tells you in the author's notes, this book is a coming of age story that really is about hope. Yes, the setting is 9.11. For most teenage readers, they weren't born, or were mere babies themselves when 9.11 took place. For them, this is historical fiction. This book takes the raw emotions, the sights, the smells and most of all, the fear from that day, and brings the setting to the forefront of the story. It's not the story. This story takes place during 9.11 and the events are impacted by 9.11, but it's a story about two teenagers who are each trying to figure out who they are in this world. Both are dealing with different tragedies when their lives intersect with each other. Written in different formats when the perspective changes, really draws you into the story, but also marvel at the writing style. Do not miss this book. So glad I was able to get a copy from NetGalley! I had to take a little break from my pile of reading to start this one. I've got a friend hooked on the first book and she's ready for this one. Time to pass it along! Thanks for checking in for week 3 of my daughter's limb lengthening journey! 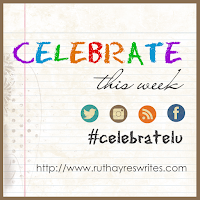 Here are thing things we're celebrating this week! My daughter would absolutely tell you, hands down, the best thing this week was getting back into the pool. Her incision sites have closed, and she's allowed to submerge! She's gotten into the community pool that is (literally) across the street from us. She's played and splashed and swam and it's been great! She has her independence back when she's in the water and I know that's a good feeling for her. Up next: back to swim team practice! When kids go through limb lengthening, they tend to lose range of motion in the knee. With everything in the leg stretching and growing longer, muscles don't want to bend as much. The hour of PT is all spent on getting the knee ready to bend. The last few minutes of PT is by far, the hardest part of a limb lengthening patient's day. That's when they have to do the "big bends". Typically they are done lying on the stomach with the therapist bending the patient's knee. My daughter was born with limited range of motion in her knee, so the most she bends is about 90 degrees. Most of us can easily lie on our stomach and bend at the knee. For my daughter, this is very difficult. She has had 2 other limb lengthening surgeries. Doing the big bends were torture. As always, she still has to so them in this round of lengthening. But earlier this week she said to me, "bends aren't as bad in this type of fixator." Having that mentality is HUGE! She is willing to put up the 30 seconds of torture for 5 bends, 3x/day. She breathes through them, watches the stopwatch on my phone, even helps push through them instead of fighting them. What a difference that bit of knowledge has been. One of the things I love about being in Florida is the local fauna. Obviously Florida has a different climate than Illinois and therefore has some different flowers and greenery. I love seeing the new plants outside! We went to our first Taco Tuesday at Rocco's this week! Rocco's is a great Mexican restaurant in Florida. I like their spicy chips and the table side guacamole is the best I've had. Love their shrimp tacos! Knock on wood, right now K is medicine free! She took her last round of antibiotics this week and she's done with her pain meds. Positive thoughts that she stays this way! Many of you do a unit on empathy. I have a new book for you to add to your collection. This book is one to stop and talk about as you read. Mr. Particular: The World's Choosiest Champion! 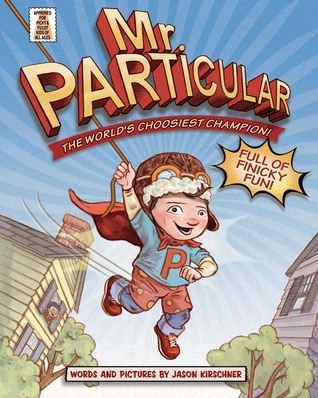 Meet Mr. Particular—the world’s choosiest champion! This superhero’s super picky: he says NO to squishy mud, gross green things, tucked-in shirts, humming, and anything with coconut. But, when his friends in the “Super-Duper Group” finally get fed up with his fussiness, can Mr. Particular prove that even the super-squeamish can save the day? talk to you students about what the word "particular" means. What do they think? read a few pages and stop at the layout where Mr. Particular outlines the things he does not care for? Knowing his preferences, what do students think "particular" means now? Did it match their prior understanding? Have a discussion about Mr. Particular. What do they notice about him? After you read a few more pages, how are the things that Mr. Particular is particular about affecting his friendships? Do you think his friends reacted in an appropriate way? How are the things that Mr. Particular is particular about affecting his friendships? Stop and talk about empathy. What is it? Are Mr. Particular friends showing empathy? How could his friends change the situation and show empathy? Do you think Mr. Particular can change his ways? How was Mr. Particular able to conquer his fear? Do you think he'll be able to conquer both of the "Big 2"? This book is sure to have some great conversations in your class - being empathetic, caring friends and what that does for a community! Books told in different voices offer up something to the reader - different perspectives. It can make the reader learn something new about a character. Save Me a Seat is a perfect middle grade novel because the chapters are told in two different voices in alternating chapters. Adding in more voices can end up being too challenging for readers to remember the different characteristics. The two voices in this novel are contrastingly different, yet they both change enough to see each other's side. There are two things I love about this book. One, is the tagline. On the back of the book it says, "A new friend could be sitting right next to you." Can you imagine if kids today grew up with that in their mind? Keeping their minds open to everyone around them? Second is the line, "Assumptions are often wrong." pg. 85. Something else we do, often without meaning to, is make assumptions about others. Stop making assumptions. Keep your mind open. Make a friend. One of my favorite things is finding books that I know kids are going to love. Books that will make them fall into the story and not stop reading. Books that make them want to talk about reading. Books that reach a wide range of kids. I'm excited to say I found one. 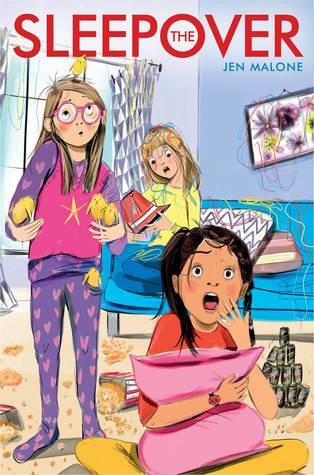 Jan Malone's The Sleepover is a fun, non-stop adventure that will have kids laughing and reading in disbelief as one event after another in the story keeps going wrong. Full of things that, we hope, don't really happen to our children, it's those adventures that will keep kids reading. Things that they (hopefully) would not dare to do, but want to read about. This book has been compared to the movie The Hangover and I can see why. Definitely a kids' version - and they will love it! Though she’s never done it before, twelve-year-old Meghan is determined to make it through lights-out at her best friend’s sleepover. She’s also ready to have The. Best. Night. Ever. and her friends Paige and Anna Marie are happy to bring on the fun. There will be miles of junk food, stacks of crazy-scary horror movies, and hours of karaoke smack-downs! Not even the last-minute addition of Anna Marie’s socially awkward soon-to-be stepsister Veronica can dampen their spirits. But nothing prepares them for the scene that greets them the next morning. The basement is a disaster, Meghan’s left eyebrow has been shaved off and she somehow has the Class Bad Boy’s hoodie, plus there’s a slew of baby chicks in the bathtub! Worst of all, Anna Marie is missing. Now the remaining girls have to piece together what happened the night before. There’s just one teeny, tiny problem: None of them can remember anything past the two-bit act by the hypnotist Veronica hired as the party’s entertainer. Can they find Anna Marie and pull off the ultimate save-face . . . all before parent pick-up time? The clock is ticking, the clues are getting weirder and weirder, and only one thing is certain: last night got a whole lot zanier than games of Truth or Dare. Look for The Sleepover on Tuesday, May 17th. Hope you found a book or two to add to your collection!